A5, 60 pages, feint ruled + 1 foil engraved HB lead pencil. 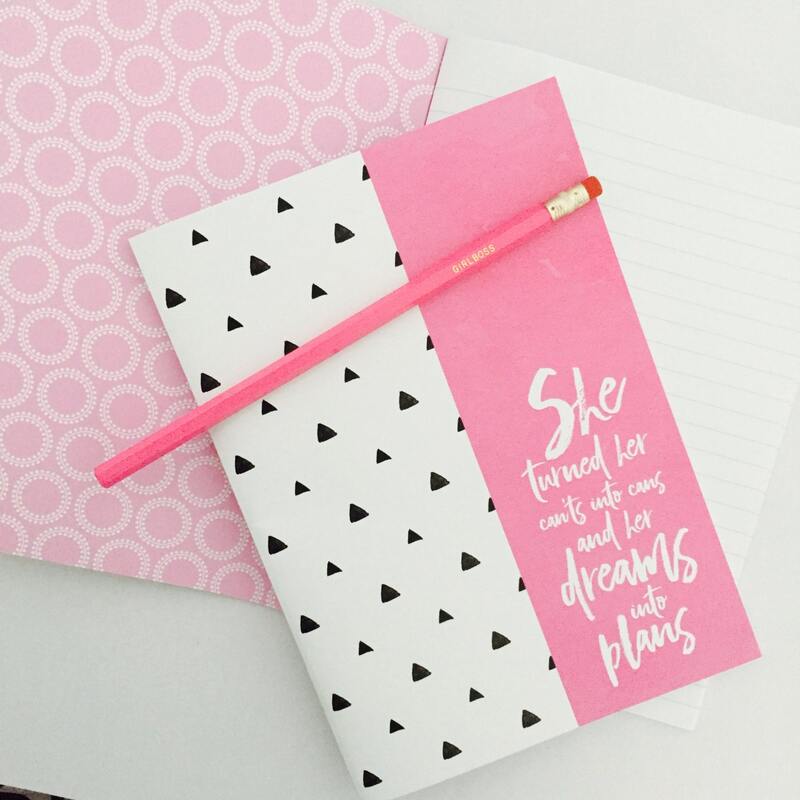 Fabulous meets functionality in our new notebook range - perfect for all this notes, lists, ideas and fancies that need to be written down. Beautifully packaged in a clear cello bag, perfect for gift giving or hoarding for your own stash. 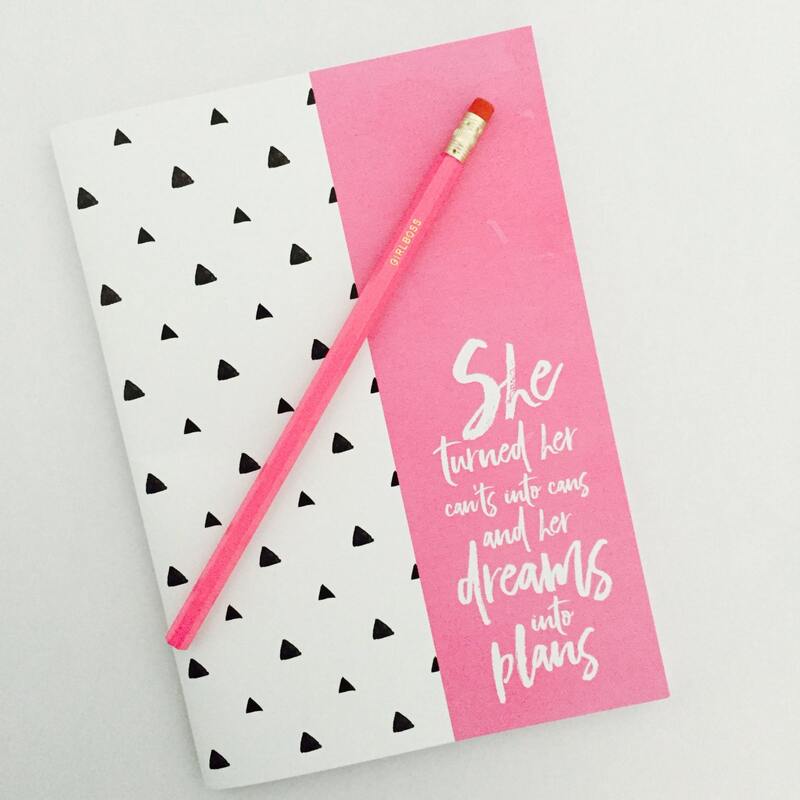 Our notebooks are stylishly saddle stitched, with a 250 GSM card cover, ready to pop in your bag, or keep on your desk ready to rock...and did we mention that they'll look fabulous too?! Our HB lead pencils are beautiful quality and come unsharpened with a smudge proof eraser. Notebooks are proudly designed and printed in Townsville, Australia.